‘Millions Like Us’ Podcast #20: We’re Back! So with my move back to Ireland, Beats’ trip back to Blighty (for a month long holiday) and logistical challenges, we’ve been quiet for a bit but as promised we are back in action. We are absolutely thrilled to share another Millions Like Us with you all! 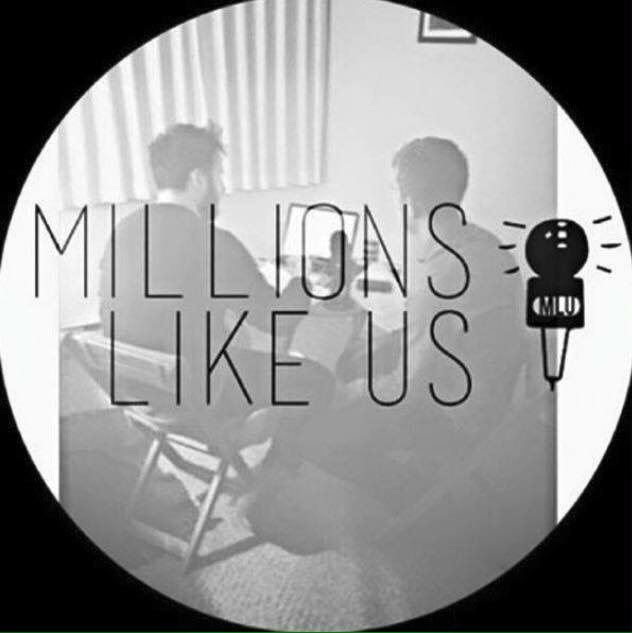 For Episode #20 – our first transcontinental podcast – we welcome Mr. Stephen Connelly to the Millions Like Us family, who will be looking after producing and recording the pod, and has the unenviable task of keeping Justin & I on topic. We’ve braved dodgy internet connections, technological misadventures and overcome all that global time zones could throw at us (global time zones be damned !!) to bring you a bumper 90 minutes of music chat and an eclectic, hand-picked selection of superb new tunes. There is also an exclusive track, recorded with Donal McConnon at the most recent Broken Home show (more info here). Thanks for baring with us while we were off air, we really appreciate it. Hopefully you enjoy the new and improved MLU. You can subscribe to MLU on iTunes and Podcast Republic, Mixcloud & SoundCloud, or find us on Facebook & Twitter. Or you can email us at millionslikeuspodcast[at]gmail[dot]com.